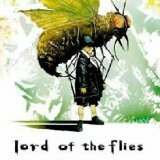 Lord of the Flies, a fictional novel (1954) by William Golding, tells the story of British schoolboys stranded on an uncharted island with no adults to supervise them. After a meeting is held and Ralph becomes chief, an immediate rival, Jack, emerges. Ralph develops a friendship with Piggy who is thoughtful and suffers from poor vision and asthma, but acts like the brains behind Ralph. Initially, there is order and peace as the boys build shelters, eat, and maintain a signal fire. The conch, a shell which the boys use to call meetings, becomes the symbol of order throughout the book. Soon after, the rivalry between Ralph and Jack becomes increasingly hostile. Ralph wants to build shelters and maintain a signal fire, but Jack wants to hunt and roast pigs which are common and easy meat. The ability to start a fire is essential, however the only way the boys can start a fire is by using Piggy's glasses. The boys begin to fear what lurks in the jungle and, when a dead parachutist lands on the mountain, they mistake it for a beast. The fear splits the boys even further until Jack splits off with a muscular boy, Rodger and most of the other big boys join his group. Jack uses this fear to build power. Towards the end, Jack’s group eventually murders an epileptic named Simon and Piggy. Then they go on a mad chase to find and kill Ralph after breaking the conch. I read the first few pages, and I thought the book was going to be extremely hard to read. It is as if the author started a video clip and you had no previous knowledge of when and where the story takes place. I continued reading and then it started to make more sense. Being stranded with total freedom and no authority on a tropical island is not paradise, the reader soon realizes, it is a nightmare. First there are the challenges of the natural world: food, disease, wild animals, and the jungle is so dense, there is barely enough room to stretch. Then there are the challenges of working with the people who you are stranded with. The author does an excellent job of making the book realistic. I would recommend the book to ninth grade boys and up who like adventure stories. Overall, I would give this book eight out of ten stars. 1. Why are the littluns scared at night? 2. When did the kids’ plane crash? 2a. They crashed at the beginning of World War II. 3. Why does Jack Merridew resent Ralph? 3a. Jack resents Ralph because he was not voted chief. 4. Why does Ralph make everyone light a fire? 4a. He makes a fire to signal ships that they are stranded. 5. Why is Piggy unable to run and swim? 5a. Piggy is unable to run and swim because he has asthma. 6. Why is Ralph extremely angry at Jack? 6a. Ralph is extremely angry at Jack because Jack let the fire go out and a ship passed. 7. Why does Ralph have a long serious meeting? 7a. Ralph has a long serious meeting to talk about the fire and the beast. 8. Why does everybody begin to believe that the beast exists? 8a. Everybody begins to believe that the beast exists after they all start to get more nightmares about it. 9. Why does Jack leave? 9a. Jack leaves because he is mad at Ralph for only giving orders and not hunting. 10. Why does Ralph openly listen to Piggy for decisions? 10a. Ralph openly listens to Piggy because he believes that Piggy is the smartest boy there. 11. Why does Jack raid Ralph’s group? 12. Why does Jack kill Simon thinking he is the beast? 13. Why does Jack come out at night and sneak upon the older kids? 14. Why does Jack roll the rock on Piggy? 15. Why do Sam and Eric warn Ralph?